Ethiopian Airlines is working with Indonesian authorities to clear up the miscommunication over traffic rights that led to the interception by the Indonesian air force of an Ethiopian Airlines’ Boeing 777-200F. The freighter entered Indonesian airspace as part of a flight from its hub at Addis Ababa to Singapore to bring an Ethiopian Rolls-Royce Trent 1000 engine to an engine shop in Singapore for overhaul. Ethiopia’s national carrier has more than 20 Boeing 787-8s and -9s in its fleet, of which four are powered with the Trent 1000 engines that require an upgrade of the intermediate pressure turbine blades that have exhibited durability issues. The European Aviation Safety Agency and the FAA recently certified a redesigned intermediate pressure compressor blade for the Trent 1000 Package C engine. Indonesian F-16 fighter jets intercepted the Ethiopian Airlines Boeing 777F, with registration ET-AVN, after it entered Indonesian airspace without an overflight permit. They forced the aircraft to land at Hang Nadim International Airport on Batam, an island south of Singapore. 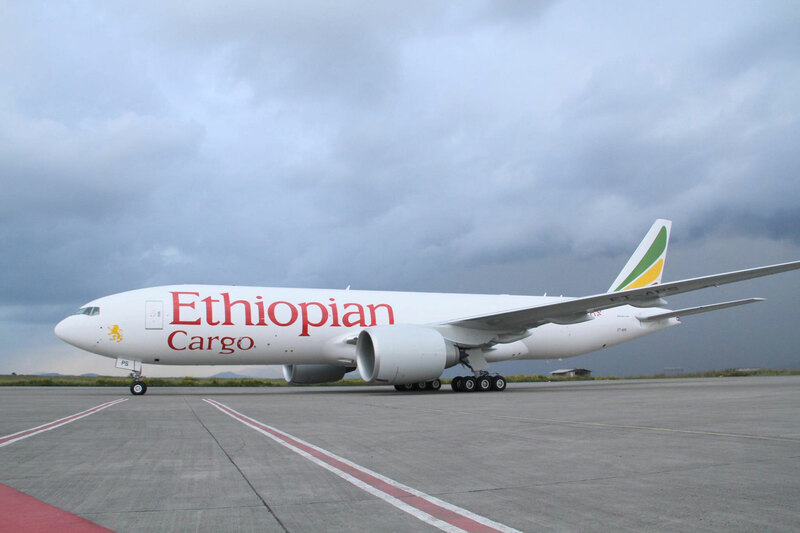 Cargo flight ETH 3728 had been scheduled to fly from the Ethiopian capital Addis Ababa to Hong Kong, according to Flightradar24. In a statement, Ethiopian Airlines noted the freighter was operating on a nonscheduled cargo flight from Addis Ababa to Singapore “and was crossing the Indonesian airspace in accordance with the ICAO Chicago Convention Article 5, by which a non-scheduled flight can overfly the air space of a friendly country without prior permission.” It did recognize that authorities may require the aircraft to make a landing. An Ethiopian Airlines senior executive, who asked not to be named, told AIN the aircraft was scheduled to fly empty to Hong Kong International Airport to pick up cargo and at the last minute was assigned to drop the engine off in Singapore for urgent maintenance. “It was not carrying cargo except the aircraft engine. We had landing permission from Singaporean Civil Aviation authority but did not have an over-flight pass from the Indonesian authorities because we thought that Indonesia is a friendly country,” the executive said. Obtaining the overflight permission code for an ad hoc cargo flight ahead of entering the airspace of a friendly country is typically a routine practice in Asia, he added. The political row between Indonesia and Singapore might have complicated the matter. The Indonesian authorities released the Ethiopian freighter on January 17 and it flew to Singapore, where the 777F landed after a 20-minute flight at 11:15 am local time.